THE Department of Agrarian Reform Negros Occidental-North has distributed certificates of land ownership award and installed 46 agrarian reform beneficiaries (ARBs) in Murcia town on Wednesday, February 6. A total of 79-hectare landholdings previously owned by Ma. Cecilia Arguelles Gonzaga situated in Barangay Caliban were awarded to recepient-farmers. 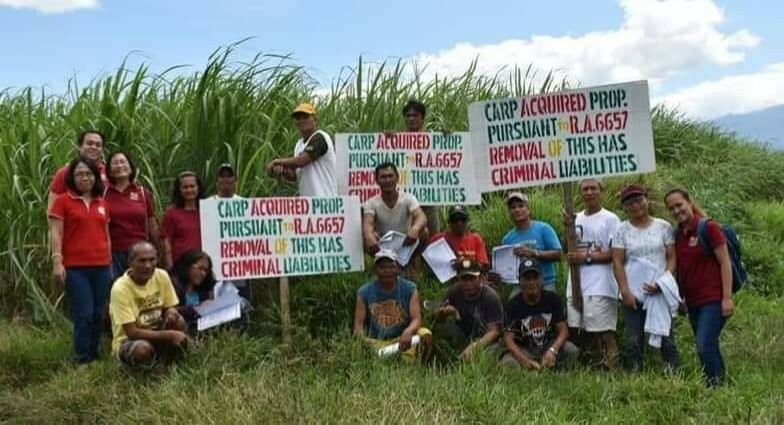 Antonia Figueroa, Municipal Agrarian Reform Program Officer, said they recognized the cooperation of the former landowner in the successful implementation of the Comprehensive Agrarian Reform Program (Carp). During the activity, Figueroa also oriented the beneficiaries of their rights and obligations which include paying regularly their respective amortizations and land taxes. The previous landowner, for her part, asked the ARBs not to lease the awarded lands rather make it more productive. “I have agreed to subject these lands in Carp believing that we are all mere stewards or caretakers of God creation,” she added. Meanwhile, Barangay Captain Antonio Luis Gonzaga expressed their support to the programs of the agency. He further asked the beneficiaries to take good care of the land and to fulfill their obligations. In response, ARB Dionesia Banquillo also expressed their gratitude to the government and former landowner.